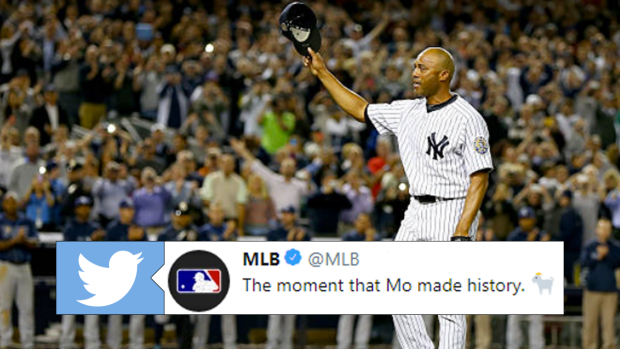 Mariano Rivera quite possibly had the most deadly pitch to ever leave a pitcher’s hand. The Rivera cutter was a dreaded pitch to face if you were standing in the batter’s box, and it resulted in Rivera being one of the most dominant closers to ever take the mound. On Tuesday, he got the nod to join the most elite baseball players ever in Cooperstown. The nomination for Hall of Fame induction was no surprise, and Rivera actually became the first to ever receive a unanimous nomination. That speaks for itself. Following the induction, we got a glimpse into the pure glee that comes with it. Rivera and his family were genuinely elated when they got the call. His reaction was pure joy. Meanwhile, there was a camera on Edgar Martinez as well. His reaction was a little more subdued, but it was also a very emotional phone call to receive. It’s a feeling few get to have.